DIRECTIONS TO SITE: Use Interstate 8 to Yuma, AZ. Take the 4th Avenue exit to Imperial County Road S-24. Go north approximately 22 miles to Senator Wash Road. Turn left onto Senator Wash Road and follow signs 4 miles to Squaw Lake. BRIEF DESCRIPTION OF SITE: RV and tent camping sites, boat launch, and day use area on a backwater of the Colorado River directly above Imperial Dam. FEES/PERMITS REQUIRED: The fee is $10 per vehicle for day-use, $15 per vehicle for overnight use, or $75 annually per vehicle for up to 5 people per vehicle. There will be a $1 per person fee charged for each person over the 5 person limit. Visitors must pay daily fees at self-registration fee pipes located at the site or at the BLM Yuma Field Office located at 2555 E. Gila Ridge Road in Yuma. Annual permits are currently available for purchase at the Yuma Field Office. 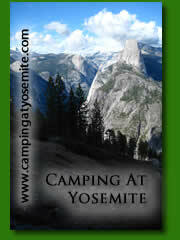 LIMITATIONS: Camping use is limited to 14 days in any 28-day period. There are no lifeguards on duty. Legal boat speed in Squaw Lake is 5 mph, no wake. No wake zone ends at Colorado River. ACCESSIBILITY: Restrooms have accessible stalls.